Yellow Moong dal is a good protein source for vegetarians. 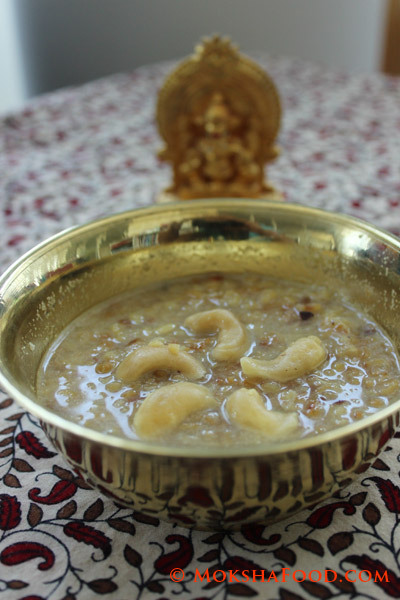 Usually it is made into savory dal to be eaten with rice. 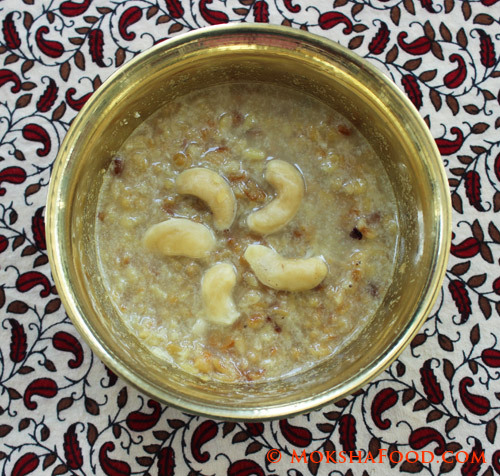 This preparation is a dessert recipe from the coastal city of Goa. It is usually made during fasting period of Ekadashi. It provides a good source of nutrition. Dry roast the moong dal in a saucepan till it changes color and a nice aroma arises. Add 2 cups of water and bring to boil. Cook till the dal is done. Add coconut milk, jaggery and cardamom pdr. Add 1/4 tsp of salt to just bring out the flavor of the dish. Serve hot or cold as a high protein dessert.